I’ve made this squash about 5 or 6 times in the past month — and I’m not tired of it yet. It’s a nice mixture of earthy and sweet-ish squash with a little heat from the Aleppo peppers and a sage/hazelnut pesto. It’s not your traditional pesto — the nuts are the star of the show with the sage and Happy Hollow Haystack Jack playing second fiddle. If you have a Christmas ham or turkey in your future, this squash recipe is worth a place in the menu! Preheat the oven to 400 degrees and place a rack in the lowest slot in the oven. Line a baking sheet with parchment. Peel the butternut squash, cut in half lengthwise and remove the seeds. Chop the squash into 2-inch pieces and place in a bowl. Toss squash with olive oil, maple syrup, salt, and Aleppo peppers. Place in a single layer on baking sheet. Roast for 25 to 30 minutes, until the squash is tender and caramelized, turning a couple times with a metal spatula. 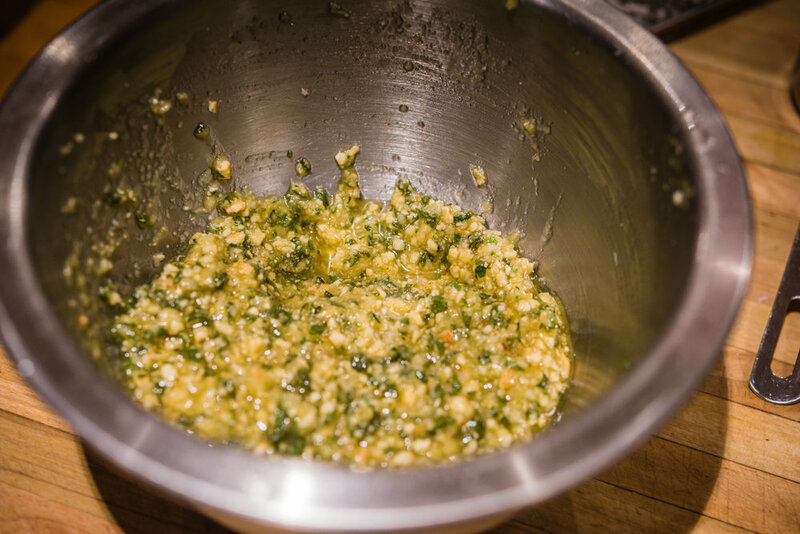 While the squash is roasting, make the pesto. 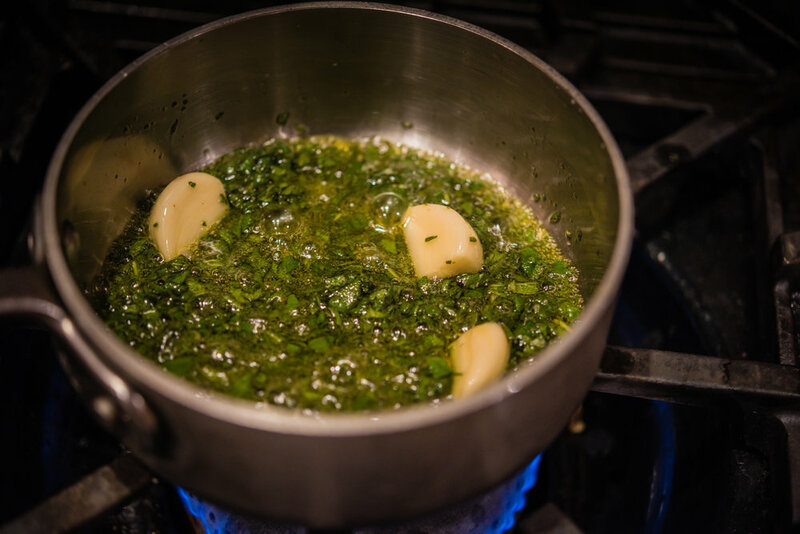 Place 3 tablespoons olive oil, sage, and garlic in a small pan and heat over very low heat just until the oil bubbles. 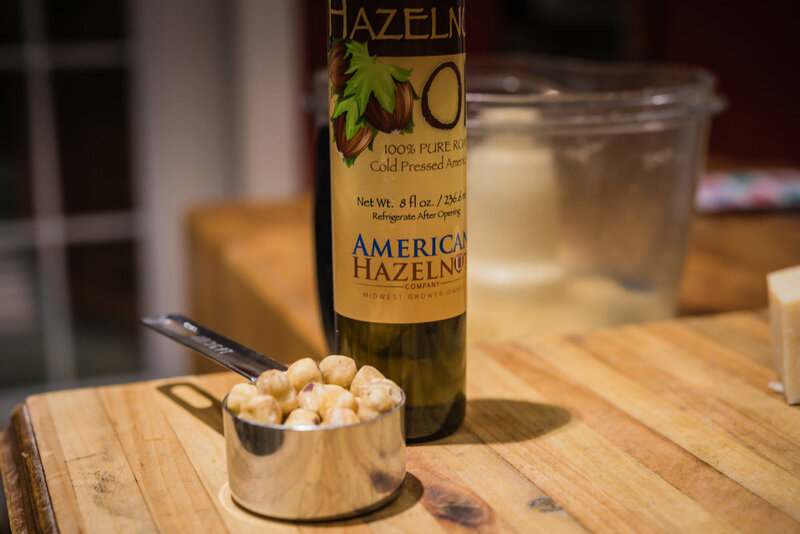 Pour in a small bowl, add the hazelnut oil, and set the garlic cloves aside. Place the toasted hazelnuts in mini food processor along with the garlic cloves and process until a fine crumble. Add the cheese to the bowl along and stir until combined and salt to taste (add additional olive oil if the pesto is too thick). Once the squash is roasted, place in a large bowl and toss with pesto to taste.